This article is part of our CNC Machining and Manufacturing Cookbook. 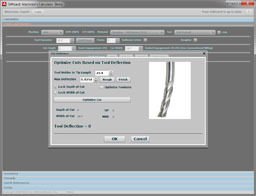 It focuses on providing an overview and introduction to CNC Machine Shop Productivity. Let's start with the idea that there is no single solution, formula, or process that will instantly maximize your machining productivity. Instead, there are a lot of components and what we want to do here is provide an introduction to one framework for thinking about it, some basic conclusions from that framework, and some ideas for where to go next. Based on discussions and gemoetry, figure out what to make it from, what processes will be used, and that leads to costs. At this stage, you may make g-code tweaks to speed up production, extend tool life, or test new strategies. Problems include tool breakage, holding tolerances, issues with g-code, opportunities to optimize, machine issues, and other interruptions and imperfections in the process. At the conclusion, your parts go to inventory waiting for customer delivery via pickup or shipping. All of this has to get done, but doesn't go directly to producing parts. Still, it adds up and needs to be scheduled and optimized carefully. Take a minute or two to look over the workflow and think about how it applies to the way your shop operates. It isn't the only possible workflow, and I'm sure you're already refining it to fit your shop's needs better. That's great! We'll just be using it here as a common framework to organize the information and talk about how to get results. It's very helpful if everyone in your shop uses the same workflow template so they can communicate with the same language. Once we have a workflow, which is just a process, we can optimize it by optimizing the component parts. It's a divide and conquer strategy where we tear things down to small pieces, make the pieces better, and then reassemble them to get a better whole. One thing we have to keep in mind is that the pieces are not all equal. In fact, the more pieces we break a workflow down into, the less equal they become. If all the pieces were equal and we made each of them twice as efficient, our reassembled workflow would be twice as efficient overall. But, as I mention, all the pieces are not equal. For that reason, it's very important to understand the relative costs in terms of resources, time, and dollars of each piece of the workflow. Once you have that understanding, you can begin to prioritize your ideas about how to make improvements by balancing the cost of the improvements against the potential returns. Making expensive improvements to parts of the cycle that aren't very expensive is obviously a bad idea, but it is very hard to see that until you have gathered enough information to know the true costs involved. Having a complete workflow that even includes Overhead, helps to ensure that all the costs your shop is facing are captured. - Resources: Resources in this sense are consumables--workpiece raw material, fasteners, cutters, etc. People and machines are resources too, but we'll track them via the Time category. - Dollars: Every penny of cost needs to be assigned to a stage. - Time: It's important to know how much time and whose time. Ultimately, you probably want to understand the time impact for people and machines--both are scarce resources that have to be scheduled. It costs more to have too many with people or machines idle or two few where you're unable to process as much work as you otherwise could. What you want to do is create spreadsheets for a few jobs that are organized along these lines and that include real numbers. Once you have that data available, you'll have a much clearer idea of how to get started improving your shop efficiency. You'll have an overall analytical framework to organize with and historical results that you can measure progress against. Click this link to download an Excel spreadsheet template for tracking this information. You'll see it is organized just like the template above. This is just a starter template to get you going gathering information. Over time you'll customize the template or maybe even invest in software that helps you gather and organize the information. To use it, just add rows as needed until you can track all of the information associated with a job. If you see opportunities to improve the template, drop me an email. I'd love to see your example templates and how you use them. As you use the template, there's going to be a desire to know when to stick something in overhead versus on a particular job. Sometimes it's easy to allocate cost to a job, in which case, by all means, allocate it to the job. Sometimes it is harder or perhaps even impossible. Somethings you absolutely must assign to jobs because they're such big cost components. Exactly which machinist and machine spent how much time on a job is very important. Start out tracking as much as possible by job even though it's more work. Try to be as detailed as possible. Once you have some data, you can look over it and decide whether some items are not worth tracking. For example, you may discover that the time spent by your bookkeeper issuing invoices and collecting payment is small relative to the total job cost (let's hope!). Once you know how small, you can decide to just leave all that in overhead, or perhaps to assign a fixed fee to every job to account for the bookkeeper's time. Either way, it's better to know the details and make a decision based on those details than to just guess. Idle Time is another tricky one because by definition, Idle Time is not spent on a job. But, the bank is still charging you interest, the landlord still wants rent, and your employees definitely expect to be paid, even for Idle Time. So Idle Time is a form of overhead. Once you quantify how much of it there is, you may discover this is a fruitful area to focus on. Keep Your Machines Busy First! CNC Machines are some of the most profitable assets your business has, but when they're idle, they're overhead. Shop after shop has found that the first order of business is to keep the chips flying. The more production the machine is capable of, the more we want to keep it busy making money for the shop. Another way to look at this is to consider the relative costs of machines versus operators. The hourly rate you typically need to bill the CNC machine at can be four to ten times as much as you pay your Operator in hourly wages. So it costs you four to ten times as much when the machine is idle as when the operator is idle. The corollary is that if the Machine is Busy, the Operator can be doing something else useful besides tending to the machine. Hence the two multiply each other's productivity. When the machine is not busy, the Operator may vary well be stuck trying to make it busy again, so in a sense, they're both down. The worst case is when neither the Machines nor the Operators are busy--we hope you don't see too much of that, but the economy has been a tough one lately. When all that's done, you can press that Green button and the machine is busy again. I'm sure you can look at that list and think of many ideas to make improvements. As an example and an aside, many machinists consider lathes to be more profitable than mills largely because it is easier to keep them busy. The time between cycles can be short to non-existant and almost fully automated. - Bar Feeder to automatically take care of loading a new workpiece until the bar is used up. There are even feeders that have magazines that take multiple bars. - Lathes already have simpler and more automatic workholding than mills. A good hydraulic collet chuck and you're off and running. - Modern lathes have parts catchers so you don't even have to dig around in the chips to find the parts. You do the initial setup, load the bar feeder, push the Green button, and come back hours later to a load of finished parts. The biggest issues are tool wear or breakage and thermal changes affecting tolerances and of course there are technologies available to solve those problems too. You can imagine that one machinist could take care of a lot of lathes setup along these lines, so it is a popular way to start a small shop. It's also possible to achieve pretty well the same level of automation on a mill, it just isn't as simple or as widely known how to do so. Going through this numbers tracking exercise to produce real data is the key to maximizing efficiency, profitability, and to accurate job cost estimation. Numbers will never replace the seat of the pants completely, but there's really no substitute for them on things that matter. Over time, you'd like to have a library of these tracking spreadsheets that chart your shop's costs and your ability to improve those costs through various experiments. A superior ability to lower your costs versus your competitor's is the route to greater profitability and perhaps even shop survival in highly competitive markets. The great thing about process improvements is that once they're baked in, they keep going and they generally make everyone's life better. The way I'd interpret that relative to our Machining Workflow is that it wants to look at every aspect of the Workflow and how we practice it and decide on the validity of that practice based on value creation for the end customer. Without Lean Manufacturing, we start down a path of paying for what we think we need based on experience. With the Workflow approach, we try to optimize some of those costs away by being more efficient. With Lean Manufacturing, we may decide that some costs are just not even worth paying because the customer doesn't care about them. We'll have more to say about Lean Manufacturing in a future article, but for now, let's stick to our Workflow as it is much closer to what we as Machinists are doing and thinking about. Once we reach a level of maturity there, we'll be ready to tackle the even bigger ideas that Lean Manufacturing offers. You've now got a basic framework from which to think about enhancing your productivity. You've also got some homework to do some actual measurements that create real data for the framework to start from. We'll have more to say about the processes and record keeping associated with enhancing productivity, but there's also a ton of ideas and information that you can directly tap into to optimize any part of the Workflow. In fact, we've largely organized this whole Cookbook around the Workflow. So, go back to the CNC Machining home page and start poking around to see what you'd like to tackle first.